Lighting is an integral part of your spa environment. 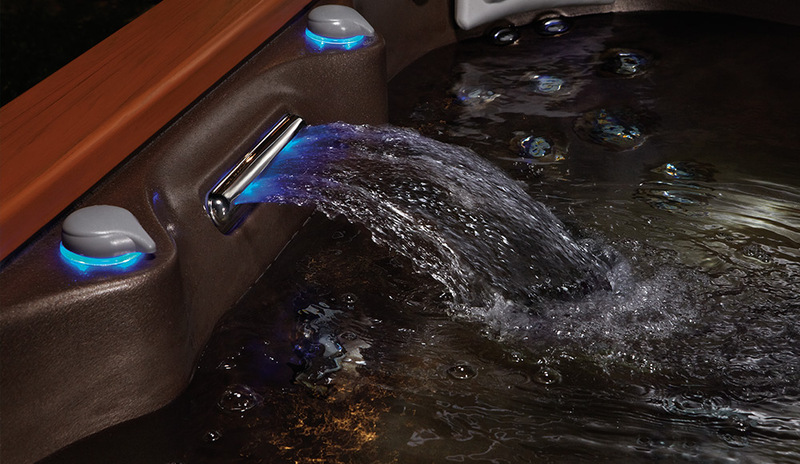 Sundance® enhances the textures of water with light and color, while illuminating details that bring out each spa’s features. 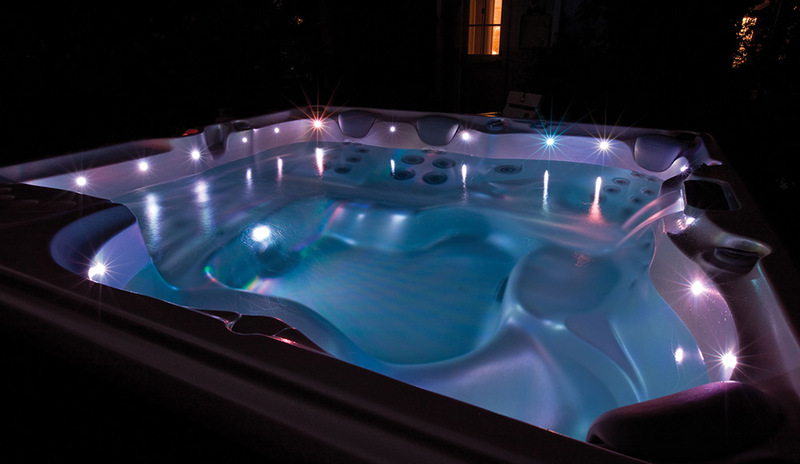 Water glows from the bottom up, starting with underwater lights and continuing with multi-hued lighted waterfalls. You can set the lights to one color, or allow them to gradually transition through the spectrum. 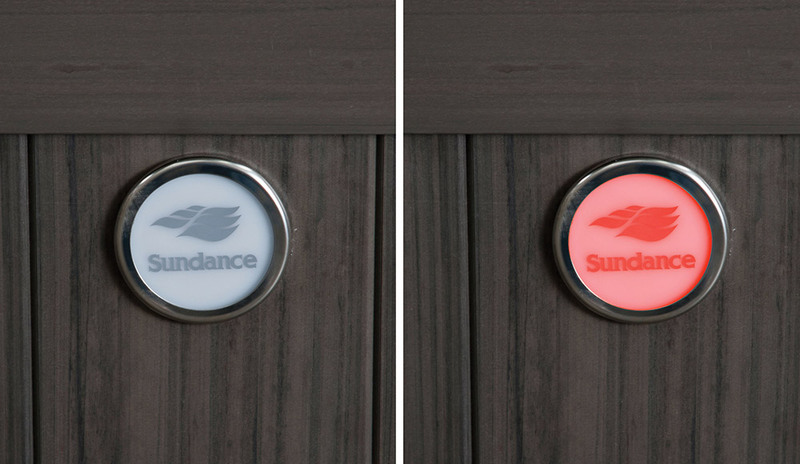 Standard on all 880 series, this logo light appears white when the spa has power and all systems are in normal operation, and red when the spa requires attention.